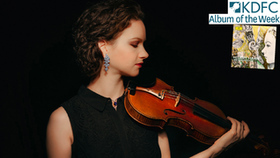 Three-time Grammy Award-winning violinist Hilary Hahn is renowned for her clear and brilliant musicality, expansive interpretations of an incredibly varied repertoire, and organic connections with her audience. Her creative approach to music-making and her commitment to sharing her experiences with a global community have made her a fan favorite. She recently created the Instagram project #100DaysOfPractice for which she posted videos of herself practicing for a hundred days straight, openly sharing her behind-the-scenes work with her fans to break down perceived barriers around the creative process. 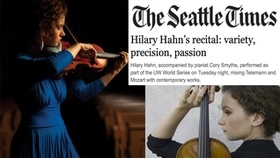 Hahn devotes much of the 2018-19 season to a thread that has bound her entire musical career together. In October she released Bach's Partita No. 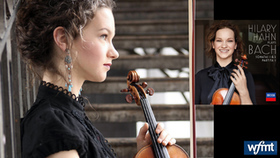 1 and Sonatas 1 and 2, after the two decades of anticipation from fans and critics alike that followed her first album, Hilary Hahn plays Bach, released when she was only 17. Throughout the fall and spring, she performs solo Bach recitals in Vienna, Paris, New York, Washington D.C., San Francisco, Toronto, Tokyo, Seoul, Berlin, London, and Munich. Also in 2018-19, she is Artist-in-Residence at the Orchestre Philharmonique de Radio France, with whom she will perform Sibelius in Austria, Germany, France, and Spain and premiere the final violin concerto of Einojuhani Rautavaara, written for Hahn and completed posthumously by Kalevi Aho. She takes Mozart's fifth concerto to Japan and Korea with Paavo Järvi and the Deutsche Kammerphilharmonie Bremen, performs Prokofiev's first concerto with Järvi and the Philharmonia Orchestra in Germany, and returns to the Chicago Symphony Orchestra with Sibelius. Bach has been a part of Hahn's life from the beginning of her musical studies, including with her first teacher, Klara Berkovich. At ten she was admitted to the Curtis Institute of Music in Philadelphia to study with Jascha Brodsky, a former pupil of Eugène Ysaÿe and Efrem Zimbalist, who dedicated part of nearly every lesson to solo Bach. 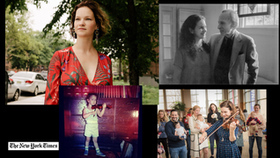 She often incorporates movements of the partitas and sonatas into her free – and sometimes surprise – concerts for knitting circles, community dance workshops, yoga groups, art students, and parents with their babies. She developed these mini concerts as part of recent residencies in Vienna, Seattle, Lyon, and Philadelphia, and will continue to do so this year at Radio France, encouraging music lovers to combine live performance with their interests outside the concert hall and providing opportunities for parents to enjoy live music with their infants. In addition to honoring the traditional violin literature, Hahn constantly delves into the unexpected. 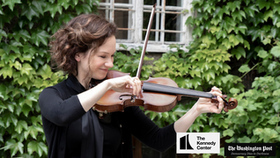 Her latest commission, her first for solo violin and her first of a set of works from a single composer, is six partitas by Antón García Abril, which she premiered in the United States, Europe, and Japan. 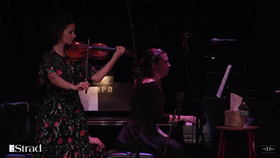 García Abril was also one of the composers for In 27 Pieces: the Hilary Hahn Encores, Hahn's multi-year commissioning project to revitalize the duo encore genre. Her album of those encores won a Grammy for Best Chamber Music/ Small Ensemble Performance in 2015, and the print edition of the complete sheet music will be released by Boosey & Hawkes. Complete with Hahn's fingerings, bowings, and performance notes, the sheet music will ensure that the encores become part of the active violin repertoire. Hahn's curiosity extends beyond music. After having completed her university requirements at the Curtis Institute at sixteen and having already made her solo debuts with the Baltimore, Pittsburgh, Utah, and Bavarian Radio symphony orchestras; the Philadelphia, Cleveland, and Budapest Festival orchestras, and the New York Philharmonic, among others, she chose to continue her studies for three more years, delving into languages, literature, and writing. She spent four summers at the Marlboro Music Festival and another four in the total-immersion German, French, and Japanese programs at Middlebury College. She holds honorary doctorates from Middlebury College and Ball State University, where there are also three scholarships in her name. Hahn has released eighteen albums on the Decca, Deutsche Grammophon, and Sony labels, in addition to three DVDs, an Oscar-nominated movie soundtrack, an award-winning recording for children, and various compilations. Hahn's first Grammy came in 2003 for her Brahms and Stravinsky concerto album. A pairing of the Schoenberg and Sibelius concerti spent 23 weeks on the charts and earned Hahn her second Grammy. Jennifer Higdon's Violin Concerto, which was written for Hahn and which Hahn recorded along with the Tchaikovsky concerto, went on to win the Pulitzer Prize. In 2012 Hahn launched Silfra with experimental prepared-pianist Hauschka. The album was produced by Valgeir Sigurðsson and was entirely improvised by Hahn and Hauschka following an intensive period of development. In 2017 she released a retrospective collection that also contained new live material and art from her fans, in keeping with a decades-long tradition of collecting fan art at concerts. 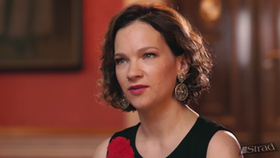 Hahn is known for her natural ability to connect with fans, from their art projects and her YouTube interview series (youtube.com/hilaryhahnvideos), to her violin case's comments on life with a concert violinist on Twitter and Instagram (@violincase). 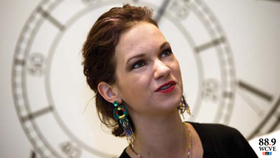 She was an early blogger, sending her fans "postcards from the road" on her website, hilaryhahn.com, and publishing articles in mainstream media. 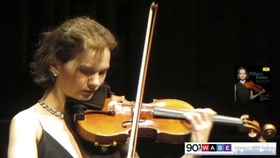 In 2001, Hahn was named "America's Best Young Classical Musician" by Time magazine, and in 2010, she appeared on The Tonight Show with Conan O'Brien. Hahn was featured in the Oscar-nominated soundtrack to The Village and has participated in a number of non-classical productions, collaborating on two records by the alt-rock band ….And You Will Know Us By The Trail of Dead, on the album Grand Forks by Tom Brosseau, and on tour with folk-rock singer-songwriter Josh Ritter. 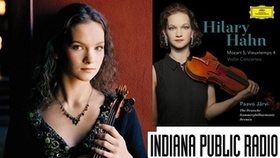 Throughout her career, Hilary Hahn has been an advocate for new music - most notably commissioning a concerto by Edgar Meyer and a Pulitzer Prize-winning concerto by Jennifer Higdon. Her recent album, Silfra, was a genre-bending experiment with prepared-pianist Hauschka. Prior to that, she released an album of sonatas by Charles Ives. 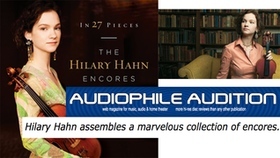 More than ten years ago, Hahn began her most ambitious project, "In 27 Pieces: the Hilary Hahn Encores," to expand and enrich the violin repertoire. 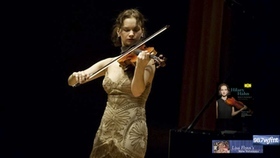 She commissioned more than two dozen composers to write short-form pieces for acoustic violin and piano and toured these new works internationally over the 2011-12 and 2012-13 seasons in countries such as Turkey, Germany, Luxembourg, Belgium, France, the Netherlands, the United Kingdom, the United States, Japan, Austria and Spain. 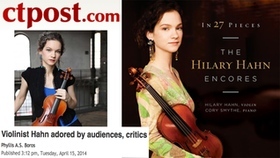 Encores have never been an afterthought for Hilary Hahn. 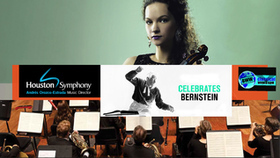 In recent years, this brilliant violinist has commissioned 27 short solo pieces from as many composers to expand her stash of end-of-concert treats. 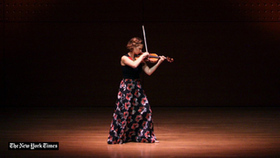 She might have been expected to pick one on Tuesday, when she gave her first-ever violin-alone recital in New York at Alice Tully Hall as part of Lincoln Center's White Light Festival. But her evening of Bach culminated in the sprawling, majestic Chaconne from the Partita No. 2 - the Everest of the violin repertory. Which one of her commissioned encores would she pick to follow that? It was a gutsy choice. But as I listened to Ms. Hahn, 38, embark once more on that 18-minute workout of runs, arpeggios and triple stops, I felt some of the magic drain out of the evening. That's because this time around, my focus shifted from Bach's genius to Ms. Hahn's skill, and to the audible deliberation that went into every note. Sure, the occasional bass tone rang out even more forcefully on her second go; Ms. Hahn took extra time on one thoughtful pause and allowed herself a tiny slurp on an expressive slide from one note to the next. But her interpretation had clearly been hewed in stone, one meticulous stroke at a time. What most surprised me about Ms. Hahn's take on Bach - she performed the first sonata and the first two partitas - was its throwback glamour. On Tuesday she played on an 1865 Vuillaume (one of two instruments by that maker that she used for her new Bach recording), producing a high-gloss sound of enormous power. There is an uncanny high-definition quality to the consistency of that sound: Across strings, in different registers and bow strokes, it maintains the same brilliance and focus. In meditative movements like the Adagio of the G Minor Sonata, Ms. Hahn takes an unabashedly Romantic approach, with slow tempos that allow her to spin out the melody in shiny ribbons. Her take on that sonata's fugue, too, was designed to maximize sound, with short notes rendered solid - almost broad - and only the difficult triple stops ringing out harshly, like gunshots. Ms. Hahn dispatched fast movements like the Gigue of the D Minor Partita with such fire and panache that the audience erupted in spontaneous (and graciously acknowledged) applause. With sure dramatic instinct she zoomed in on moments of pathos, lingering on a sighing motif, or building up crescendos with muscular impatience. Her playing evoked the Bach of past generations, like Itzhak Perlman's recording from 1988. Her contemporaries often now play this repertory with feathered bow strokes, gestural phrasing and swift tempos inspired by the historically-informed-performance movement. Ms. Hahn plays as if that shift never occurred. A lot changes in two decades. A lot also stays the same. 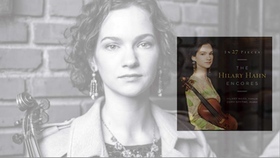 Take "Hilary Hahn Plays Bach," the violinist's audacious 1997 debut recording, released when she was just 17. The photo on the cover shows her with soft, youthful features but the solemn stare of a serious artist. No mere prodigy, she was declaring that she was ready to leave her mark on some of the most challenging and profound music in her instrument's repertory. 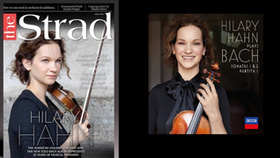 Fast-forward to the present, and the release of her long-awaited follow-up, "Hilary Hahn Plays Bach: Sonatas 1 & 2, Partita 1," which closes the circle on Bach's solo works and will be accompanied by a virtually sold-out tour that includes a stop at Lincoln Center on Oct. 23. Ms. Hahn's Bach is as earnest as ever, yet naturally wiser. Between the recordings, she has become one of the essential violinists of our time, a restlessly curious artist eager to commission contemporary composers and push the boundaries of performance. And on the cover of the new album, in contrast to the last, she's smiling. That may well be the more accurate portrayal, based on a visit to her Cambridge home, where she has lived for the past two years with her husband and two daughters. Here she practices, unglamorously, in a corner of the basement that also houses her Grammys, still not unpacked. On a recent morning, Ms. Hahn graciously played host while discussing her life and approach to performance, nursing the infant Nadia and indulging the imaginary tasting menu prepared by three-year-old Zelda, a precocious child with a multilingual library, perfect pitch and the youthful confidence to serve, with a straight face, a dish she called "cookie water." For someone who made her professional debut as a child and has been touring and recording ever since, Ms. Hahn seemed surprisingly well adjusted, with a conventional home life that didn't fit the profile of a superstar virtuoso with a massive, dedicated fan base. The reason, she said, could be that she has long aimed to prioritize her individuality over the grueling demands of concertizing. As a student at the Curtis Institute of Music - where her teachers included the great Jascha Brodsky, who died in 1997 - she was focused and skilled. But when her career blossomed, she resisted any persona prescribed to her. "When I was starting out with record companies, there was a tendency to simplify the image as a prodigy," she said. "I have more than one adjective, and I've always tried to be myself and listen to my instincts." So Ms. Hahn became a self-guided globe-trotter, traveling for a time with a pet mouse she carried in the pocket of her cargo pants. She recorded the standard repertory - Sibelius and Tchaikovsky - as well as more out-of-the-way 20th-century works by Barber, Schoenberg and Bernstein, all with musicality beyond her years. Composers wrote specifically for her, including Jennifer Higdon, whose Violin Concerto, made for Ms. Hahn, won the Pulitzer Prize in 2010. And she reached beyond the classical world for collaborators including the mandolin player Chris Thile, the folk singer Josh Ritter and Valgeir Sigurdsson, who produced an adventurous album of her in improvised music, "Silfra." Not one to preen, Ms. Hahn didn't record an early album of encores, as many young musicians do. When she did turn to encores, in 2013, it was a collection of 27 new pieces written by some of the leading composers of the day. One of them, Du Yun, remarked that this record was the hallmark of a truly mature artist. "It's easy to be a prodigy," she said. "It's really hard to keep pushing in new directions." Ms. Hahn commissioned 26 of the encores, and held a contest to select the 27th. The album release, a building-scale performance installation, was more akin to "Sleep No More" than an average recital. Early next year, Boosey & Hawkes will release a two-volume edition of the pieces, with Ms. Hahn's bowings, markings and in-depth notes about her experiences working with each composer. "She's not just a world-class violinist," Ms. Du said. "She has this idea and sees it through and fund-raises and talks to a record label and publisher. And then she thinks about how to talk about those pieces in different concert settings and online. That's a whole package of what an artist in today's time should be." Ms. Hahn has also known when to take a break; she decided long ago that every 10 years she would go on sabbatical. During these periods off, she has taken language immersion courses and studied ceramics and welding. When she was 30, she briefly stopped playing and listening to the radio. (It was during this time that she met her husband.) She has played from Bach's six sonatas and partitas more or less every day since she was 9; movements from these works make for crowd-pleasing encores and warm-ups in practice. Her Bach has preternatural clarity: Four-note chords and fugues sound as though they were played by a small ensemble, not by a single instrument articulating discrete voices. "When you hear her play," said Mr. Thile, who once tried emulating her hands, "you're hearing the music as clearly as you will ever hear it." The differences between her Bach albums are subtle. The technique is superb in both, but the 1997 recording is slightly more exuberant, while the new one is capacious in its phrasing. "This is a portrait of how I play Bach in my 30s," Ms. Hahn said of her new album. "When I play those earlier pieces now, the tempi are faster, but the structure within the phrase is more stretched. It's a little bit more of a push and pull." Her work has of late had to be incorporated ever more into the rhythms of everyday life. "I was trying to not practice when Zelda napped, trying to compartmentalize, but I wound up just not getting done what I needed to," Ms. Hahn said. "So I threw caution to the wind. If I have five minutes, let's practice. If it becomes half an hour, great." On a white-water rafting trip, she gave an impromptu Bach performance to a father and son, who listened through headphones while she played an electric violin. She has organized B.Y.O.B. - bring your own baby, that is - concerts for parents who otherwise might not be able to take their children to hear music in traditional settings. "I find that Bach is appealing to a lot of different audiences," she said. "It really hits people at their core in different ways, but it also creates a meditative space. I just feel like I can play it, and it reaches people." Next year, Ms. Hahn will turn 40 - which means that after this season, it will be time for another sabbatical. She doesn't have any plans yet, and doesn't want to make any. "Maybe I'll go on safari for a month," she said, "or go to an artist residency to write for a couple of weeks, or go to Walden Pond every day." Or, gesturing to Nadia, playing on the floor, she said, "I could just do the mom thing." 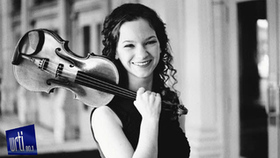 When Hilary Hahn plays Bach came out on Sony in 1997, critics were astounded that a performer would choose solo Bach for her debut album; they were further confounded by her elegant approach to this music's technical and interpretive challenges at such a young age. 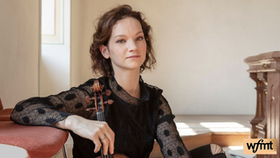 "Not a week has passed since then without an audience member asking me when I'll record the rest of the set," Hahn says, having released her first album, Hilary Hahn plays Bach, when she was 17 to great critical and popular success. Now 38, she completes her recording of the Bach sonatas and partitas for solo violin in an album that will be released on Decca Classics on October 5, 2018. The new album includes the first partita and first and second sonatas. 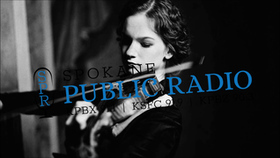 HH recently sat down with Spokane Public Radio Classical Host - James Tevenan to discuss the new recording. Listen to the attached clip. 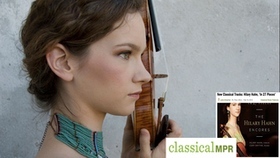 When Hilary Hahn plays Bach came out on Sony in 1997, critics were astounded that a performer would choose solo Bach for her debut album; they were further confounded by her elegant approach to this music's technical and interpretive challenges at such a young age. Bach expert Nicholas Anderson wrote in BBC Music Magazine at the time, "Bach's six unaccompanied solos - three each of partitas and sonatas - have long been regarded as the pinnacle of violin writing and the most elusive of goals for the aspiring performer... Hahn's affection for Bach's music becomes apparent at almost every turn; and the concluding movement of the C major Sonata is a tour de force. I long to hear more." 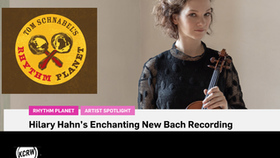 Now 38, Hahn completes her recording of the Bach sonatas and partitas for solo violin in an album that will be released on Decca Classics on October 5, 2018. The new album includes the first partita and first and second sonatas. In conjunction with this release, HH has made time today - Sep 13, 2018 to speak with classical radio stations and networks around the US. Participating cities include, New York, Chicago, Boston, San Francisco, Philadelphia, Seattle, Portland, Detroit, Pittsburgh, Austin, and many more. Watch throughout the day for our tweets. 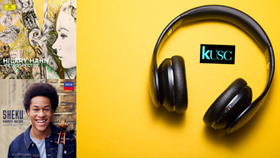 Each week, we dig through new releases to handpick the KUSC: Los Angeles - Album of the Week. With so many great recordings in 2018 already, our DJ's picked our favorite albums so far. Tune in all week as we play pieces from our favorites and look below to read more about why we picked each selection. 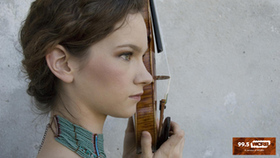 Alan Chapman's favorite picks include; Hilary Hahn - Retrospective. Alan commented "I'm a big, big fan and I'm delighted to hear her play such a wide range of material." He also liked; Sheku Kanneh-Mason - Inspiration and wrote; "Young, talented, and had to cancel on the Los Angeles Chamber Orchestra to play at the royal wedding." 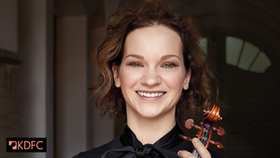 Hilary Hahn's newest album, Mozart 5, Vieuxtemps 4 - Violin Concertos, is her first recording with The Deutsche Kammerphilharmonie Bremen and Paavo Järvi, after performing and touring with the ensemble and conductor for many years. Released on March 31 2015, the disc is Hahn's first orchestral offering since her 2010 pairing of Tchaikovsky's violin concerto and Jennifer Higdon's Pulitzer-prize winning violin concerto, which was written for Hahn. 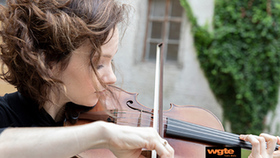 With this new album, she returns to core violin repertoire, hot on the heels of her critically-acclaimed, Grammy-winning album of 27 commissioned short pieces, In 27 Pieces: the Hilary Hahn Encores, and an improvised recording with prepared pianist Hauschka, titled Silfra. WRCJ: Detroit - Well Tempered Wireless host - Chris Felcyn sat down with HH to discuss the new album. Listen to the attached soundclip. 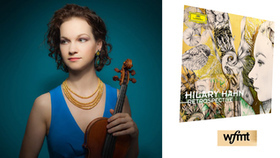 Violinist Hilary Hahn (who's in town this weekend for a sold-out San Francisco Performances recital at the SFJAZZ center) has recently released a CD with an unusual pairing of repertoire: Mozart's fifth concerto, and Henri Vieuxtemps' fourth. The two pieces are linked for Hahn, because she began learning them both at the same time, 25 years ago, when she was 10. The album is a tribute to two of her early teachers: Klara Berkovich, who she studied with from the age of 5 to 10, and Jascha Brodsky, who she studied with at the Curtis Institute of Music in Philadelphia from 10 until he died seven years later. Hahn says Klara Berkovich was (and still is!) a great teacher. "I think she was being modest; she could have taught me everything from there on as well. But I think it takes a very wise teacher to know when a student could use another opinion. And I think it was more a matter of that than that she didn't want to teach me any more, or that she couldn't." And, she says, the transition between teachers was seamless, even though their approaches were different, because they were tailored to Hahn's needs. "When I started with Mr. Brodsky, there wasn't much of a jolt in my training. It wasn't like he had to start all over with me, retrain my technique. It was more that he took what she had taught me, and developed it from there." Henri Vieuxtemps' Fourth Violin Concerto used to be an especially popular piece with Russian soloists, where the composer had great fame. " He was instrumental (no pun intended) in founding the violin school there in St. Petersburg," she says, "which is funny, because he's Franco-Belgian. When you think of the Russian school of violin playing, the counterpart is the Franco-Belgian school, yet they came from the same place." She says of the concerto, "It's this dramatic work, it's very symphonic. Very operatic also. And it plays with the idea of solo versus collaborative. There are a lot of moments where an unusual combination of orchestra instruments will be playing with the soloist. And the solo part has to dovetail into what they're doing, but then suddenly step forward and be soloistic again. It's really like an ensemble play, or an ensemble opera performance." Listen to the attached interview. 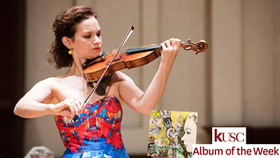 Hilary Hahn's newest album, Mozart 5, Vieuxtemps 4 - Violin Concertos, is her first recording with The Deutsche Kammerphilharmonie Bremen and Paavo Järvi, after performing and touring with the ensemble and conductor for many years. Released on March 31 2015, the disc is Hahn's first orchestral offering since her 2010 pairing of Tchaikovsky's violin concerto and Jennifer Higdon's Pulitzer-prize winning violin concerto, which was written for Hahn. 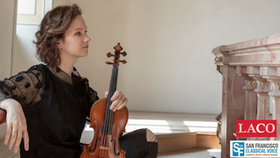 With this new album, she returns to core violin repertoire, hot on the heels of her critically-acclaimed, Grammy-winning album of 27 commissioned short pieces, In 27 Pieces: the Hilary Hahn Encores, and an improvised recording with prepared pianist Hauschka, titled Silfra. Indiana Public Radio's Steven Turpin sat down with HH to discuss the new album and her April 14th date at Ball State University. Listen to the attached clip. 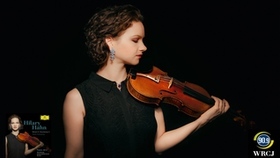 Hilary Hahn's newest album, Mozart 5, Vieuxtemps 4 - Violin Concertos, is her first recording with The Deutsche Kammerphilharmonie Bremen and Paavo Järvi, after performing and touring with the ensemble and conductor for many years. The disc, released on March 31, is Hahn's first orchestral offering since her 2010 pairing of Tchaikovsky's violin concerto and Jennifer Higdon's Pulitzer-prize winning violin concerto, which was written for Hahn. 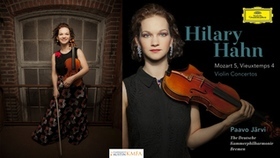 With this new album, she returns to core violin repertoire, hot on the heels of her critically-acclaimed, Grammy-winning album of 27 commissioned short pieces, In 27 Pieces: the Hilary Hahn Encores, and HH has a new improvised recording with prepared pianist Hauschka, titled Silfra. Mozart 5, Vieuxtemps 4 also brings Hahn full circle, after more than three decades of violin playing, to two concertos that have been part of her repertoire since she was ten years old. Vieuxtemps's Violin Concerto No. 4 was the last large piece she learned with Klara Berkovich, her teacher from ages five to ten. Several months later, Mozart 5 was the first concerto that Jascha Brodsky taught her at the Curtis Institute of Music. Berkovich began her violin studies in Odessa and went on to teach in St. Petersburg (then Leningrad) before emigrating to the States. Brodsky was one of the last pupils of the legendary Eugène Ysaÿe, who, coincidentally, was a star student of Vieuxtemps, making Vieuxtemps Hahn's musical great-grandfather in the violinist family tree. The disc has been receiving heavy airplay and attention from Radio, and in conjunction HH sits down today - Tuesday April 7 with programmers is Los Angeles, San Francisco, Dallas, Houston, Austin, Atlanta, Detroit, Seattle and Cincinnati to discuss the new album and music in general. Listen to the attached clip. 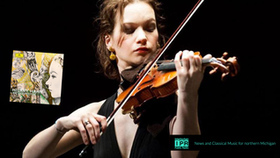 New Classical Tracks is a Syndicated Feature airing Nationally on Classical 24 & Statewide on Minnesota Public Radio. 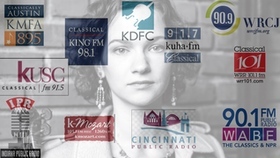 Listen to Julie Amacher's Feature with Hilary Hahn. Here's the transcript....Making a cold call isn't easy. In fact, it can be downright uncomfortable. 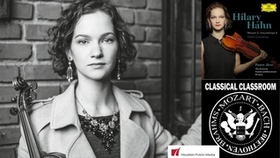 But that didn't stop violinist Hilary Hahn from making more than two dozen cold calls to solicit original compositions for her recording titled In 27 Pieces, which just earned a 2015 Grammy Award for Best Chamber Music or Small Ensemble Performance. 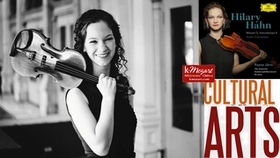 This recording is a collection of encores Hilary Hahn commissioned from 27 different composers. "And then after I'd called everyone and knew who was going to participate, one goal that I'd always had was to have an open contest for one of the encores," she says. "And that last one was the 27th one by coincidence. So, I was born on the 27th of November but other than that, there was no personal connection with that number in particular. "And I just got to thinking, where are the new generations of encores? I love the older encores but I wanted to make sure that there would be pieces that, in the future, would also refer back to our era and the ideas that are here now. So I decided to do a project with commissioned encores. The concept seemed really easy. But what I didn't think about is the fact that each piece has its own sound world, and I hadn't worked on music by a lot of these composers before, so I was also getting to know their musical language as I learned the pieces. So instead of a lot of short pieces, actually, it's a lot of musical experiences to live through. It has been a fantastic exploration for me." Each composer was given just two guidelines: compose a piece for acoustic violin and piano that's five minutes in length or less. Hilary also interviewed all the composers to gain a better understanding of their intentions. "Some people said, 'Well, even if it's very difficult to play it that way, it's really necessary that it stay exactly the way I wrote it because it's a crucial aspect of the score at that moment'," Hilary recalls. "Other people said, 'Eh, if the notes don't work for you, just change them and let me know.' "One composer, Anton Garcia Abril wrote out something that makes sense on paper as a rhythmic thing. But then he said, 'I don't know how to write in the freedoms that I want, so here's how I hear these phrases.' Then he'd describe through demonstration how these rhythms are just a guideline. It was so interesting to see someone actually say that as a composer." Nico Muhly had a very intentional musical conversation in mind when he wrote his piece titled Two Voices. "It's a musical dialogue within the violin part," Hilary says. "The piano is a drone. He was explaining to me in the course of one of our YouTube interviews that he's very interested in drones because, it's a repetitive background noise that's always present. You notice it sometimes and you don't notice it at other times, because these things are around us all the time. The refrigerator, the traffic, and those are very active parts of how we hear the world, so he wrote this into his piece." Tina Davidson is another highly regarded American composer who agreed to write an encore for Hilary Hahn. Her piece is titled The Blue Curve of the Earth. "Well, [Tina] was in Wyoming, in an artist residency when she wrote it and the title refers to some photos she saw online from NASA of the Earth's edge," Hilary explains. "I think that's a very lyrical interpretation of this place that we are in the universe. It draws on a lot of different senses as well. I think her music ties into … line. Even though she writes fast-moving notes and different sound effects - it's all about the line and about the interweaving intricacies of how notes can illustrate an idea or an emotion. It's a beautiful piece." As you explore these "27 pieces," you may be struck by the diversity of composers, and the variety of traditions they represent. 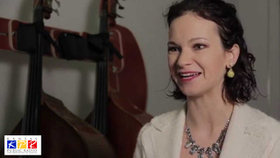 Hilary Hahn says that was her goal, and figuring out how to piece this musical puzzle together became a creative challenge. "I'm really happy with everyone who wrote pieces for this project," she says. "I've learned so much from all of them. Also, playing their music has pushed me a lot. I had to learn how to play their pieces because most of the composers were new to me, so I didn't have a foundation in how to play their music. So I had to learn a lot about them and their styles before I could even approach their pieces and feel like I had an instinct for how to play them. So all of that has pushed me in different directions that were not always natural but now I'm so glad to be part of." 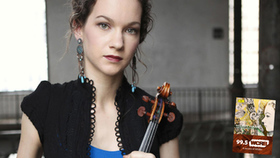 Hilary Hahn, stretching in new directions that have paid off in a number of ways, including a 2015 Grammy award for Best Chamber music or small Ensemble Performance. On Friday the 57th Annual Grammy Awards revealed it's winners. 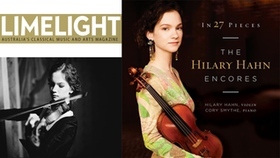 and Crossover Media Artists and Projects received 12, 2015 Nominations: including Hilary Hahn's latest: In 27 Pieces, in the Best Chamber Music/Small Ensemble Performance category. 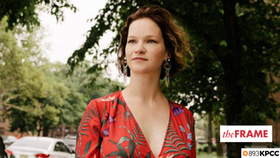 Throughout her career, Hilary Hahn has been an advocate for new music - most notably commissioning a concerto by Edgar Meyer and a Pulitzer Prize-winning concerto by Jennifer Higdon. Her recent album, Silfra, was a genre-bending experiment with prepared-pianist Hauschka. Prior to that, she released an album of sonatas by Charles Ives. 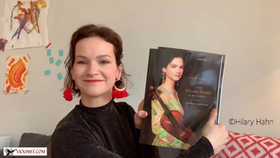 More than ten years ago, Hahn began her most ambitious project, "In 27 Pieces: the Hilary Hahn Encores," to expand and enrich the violin repertoire. 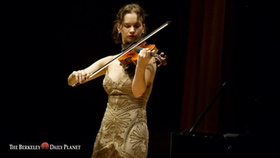 She commissioned more than two dozen composers to write short-form pieces for acoustic violin and piano and toured these new works internationally over the 2011-12 and 2012-13 seasons in countries such as Turkey, Germany, Luxembourg, Belgium, France, the Netherlands, the United Kingdom, the United States, Japan, Austria and Spain. It's always a burning question. When the performer walks back on stage, what encore will she play? Something slow and meditative, like Bach, or maybe flashy Paganini at breakneck speed? 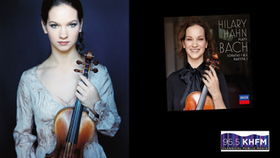 Encore pieces are a revered repertory, which according to Hilary Hahn were "shaped by the performers who preceded us". So, this stellar violin virtuoso has asked a different question: what should today's encores sound like? Her answer came in an ambitious project: commissioning 26 composers to write encore pieces, plus holding an open competition to find a 27th. The result is a ripper, two-disc compilation, In 27 Pieces, with one of the most profoundly contrasting arrays of compositional style and language you could imagine. You'll find older, more established writers, like Finnish master Einojuhani Rautavaara, with newer voices thrown into the mix. Each piece explores a different sound world, and posits a unique idea of what an encore should do. Some works are slow, lyrical and open, others fast, dissonant, and impossibly demanding when it comes to technique and flair. Everyone will have a favourite, but Israeli composer Avner Dorman's Memory Games is an outright thrill to listen to. Hahn's performance is stunning in every encore. She is often lauded for her rich tone and flawless technique, and you can expect nothing less in this eclectic fare that will entrance lovers of new music, and entice those with more traditional tastes as well. Her bravura is matched perfectly with Cory Smythe's solid accompaniment, which is frequently just as complicated as the violin. Some of these encores have more 'wow' factor than others, but this begs another question: does an encore need to be showy? There's not a hint of ostentation in Hahn's set of 27, demonstrating that today, ‘virtuosity' means something more than just flashy fireworks. 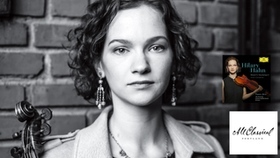 Hilary Hahn is a very disciplined and thoughtful person. 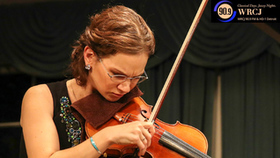 Born in Lexington, Virginia in 1979, she began violin studies at age four at Baltimore's Peabody Institute and was admitted to the Curtis Institute of Music in Philadelphia at age ten. Having completed requirements for her university graduation at 16, she remained there to take elective courses and graduated at 20 with a Bachelor of Music degree. She began recording at 16. Examining her discography, one finds that she has produced one recording per year quite regularly since then: she is now 35. This collection of encores is her latest project and it reflects many years of thought and planning. She has maintained a full touring schedule of both solo and orchestral performances. In both these situations she needs encore pieces, and is constantly on the lookout for new ones. This collection, In 27 Pieces, is the crowning achievement of a multi-year project to commission the best contemporary encores for violin with piano accompaniment. READ THE FULL Audiophile Audition REVIEW. 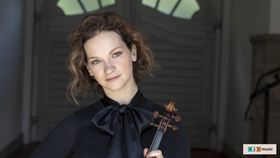 Seattle audiences normally hear violinist Hilary Hahn in Benaroya Hall, but Tuesday evening, the venue was Meany Theater, less than half the size of Benaroya. It was an "up close and personal" recital in the UW World Series, particularly since Hahn took to the microphone to introduce the pieces to the audience. Regardless of what she plays, Hahn is an utterly convincing interpreter who makes the music sound natural and unforced - even easy, when it's decidedly not easy at all. Her approach, direct and unfussy, is underlain with a phenomenally steady bow arm and fingerwork so accurate that there's almost never a pitch even slightly off the center of the note. READ THE FULL Seattle Times REVIEW. 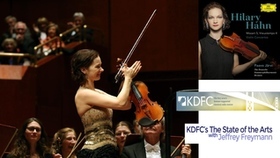 Internationally renowned violinist Hilary Hahn has performed with many of the most famous orchestras in the world -- creating experiences she will always treasure. Nonetheless, recital performances are especially dear to the 34-year-old's heart. 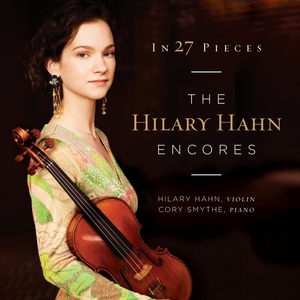 Her latest, with pianist Cory Smythe, is "In 27 Pieces: The Hilary Hahn Encores" the result of a multi-year project in which she commissioned 26 composers around the world to create short works that would be appropriate for concert encores. 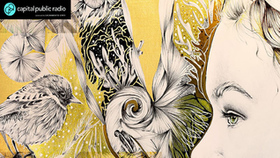 For the 27th piece, an open contest took place that attracted more than 400 original works. Hahn will perform with Smythe at Fairfield University's Quick Center on Tuesday, April 22 at 8pm. READ THE FULL Connecitcut Post INTERVIEW. 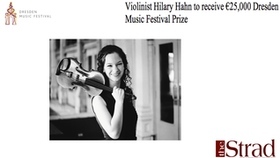 The US violinist Hilary Hahn has been awarded the Dresden Music Festival Prize for 2014. Worth €25,000, the award will be presented at a concert at the Dresden Semperoper on June 4th. Each month, WCLV's Program Director Bill O'Connell selects a series of special 'Choice CDs' to be featured on the air throughout the month. 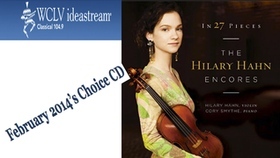 For February, Bill has selected: In 27 Pieces: The Hilary Hahn Encores. 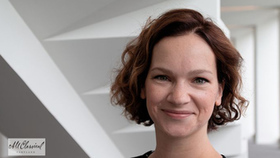 The idea for In 27 Pieces: the Hilary Hahn Encores began to take shape when Hilary noticed that new encore pieces were not being showcased as much as other types of contemporary works. Shorter pieces remain a crucial part of every violinist's education and repertoire, and Hilary believed that potential new favorites should be encouraged and performed as well. 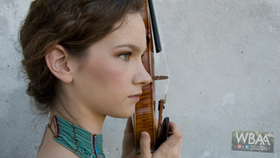 What is unique about the project, though, is the incredible depth that Hilary Hahn has gone to discover new works. She explored the music of all the composers before personally contacting them and ran a blind online contest with open submissions to find the 27th composer. 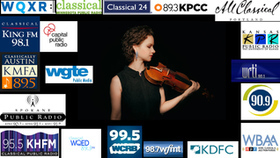 SiriusXM: The Bob Edwards Show - Hilary Hahn discusses new Encores CD 'In 27 Pieces' / TODAY!! 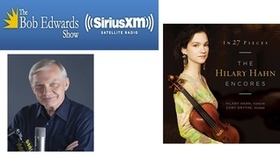 SiriusXM's Bob Edwards speaks to violinist Hilary Hahn about her new CD, In 27 Pieces: The Hilary Hahn Encores. Hahn spent more than a decade commissioning new works by contemporary composers to play at the end of her concerts. Encores, which are the performer's way of rewarding an enthusiastic audience at the end of a concert, are short, intimate pieces between 2 and 5 minutes long. Hahn wasn't satisfied with the standard encore repertoire, and wondered what contemporary composers would do with the form. She contacted composers from all over the world. The result is a dazzling 2-CD collection of brand new encores, which she has been performing at her concerts.